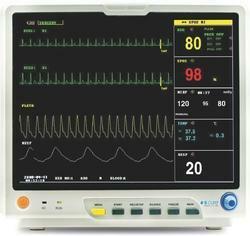 Offering you a complete choice of products which include multi parameter patient monitor, multipara monitor, multipara patient monitor, patient monitoring devices, patient monitor equipment and multi para patient monitor. 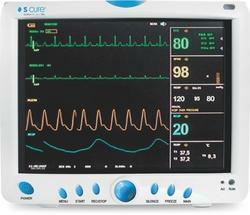 Data and waveforms color can be adjustable as it can be stored and recalled. Approx 2.5 hours battery backup. 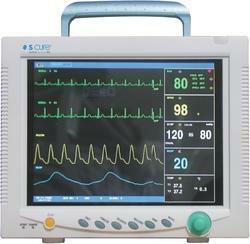 NIBP Modes: Manual / Auto / Continuous with Oscillometric Method. NIBP Modes: Manual / Auto / STAT with Oscillometric Method. 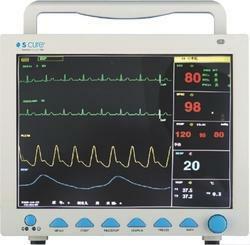 Modes: Manual / Auto / Continuous with Oscillometric Method. Applicable for Adults, Paediatrics, and neonates. 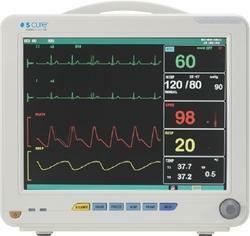 Elegant Appearance, Clear marks, Standard interface, oxygen graph, trend graph, large font size with other bed observations which are convenient for users. 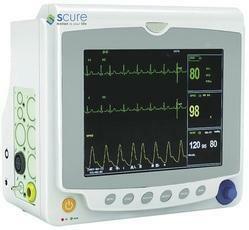 Synchronize display of 8 waveforms. 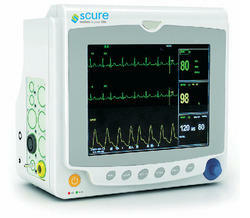 Monitoring contents, scan speed, volume and output contents can be set. Waveforms and parameters color can be changed. Technical Alarm, 71 physiological alarms, and 60 arrhythmia alarms. Network Function: connect Central monitoring station, other bed observation, and software updating.